Harry, himself a very talented racing bird (winner of a 1st Blois - 37,728 p./ 1st Chateauroux 22,340 p./ 3rd Chateaudun - 21,520 p.) and a world class breeding bird, has left his mark on the competition, and he will continue to do so, in numerous pigeon lofts both in The Netherlands and abroad. 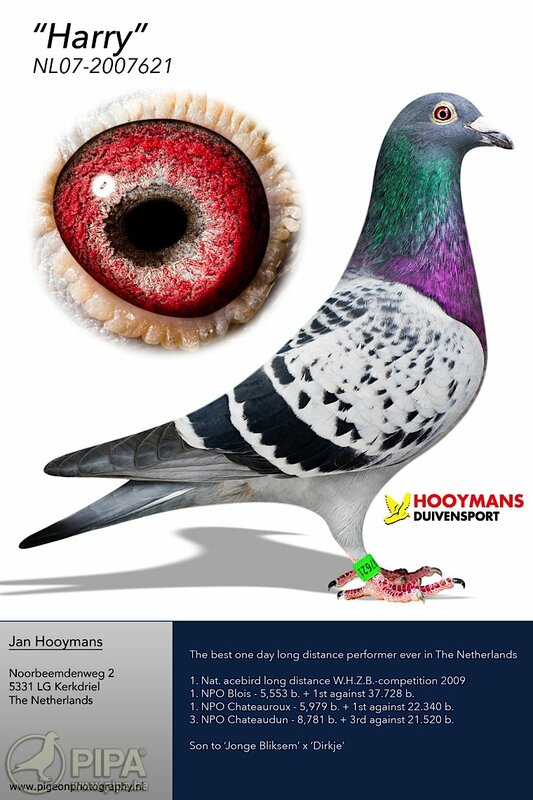 This highly talented bird was given a spot in Jan Hooymans's breeding bird, where he enabled numerous fanciers to have some great moments. 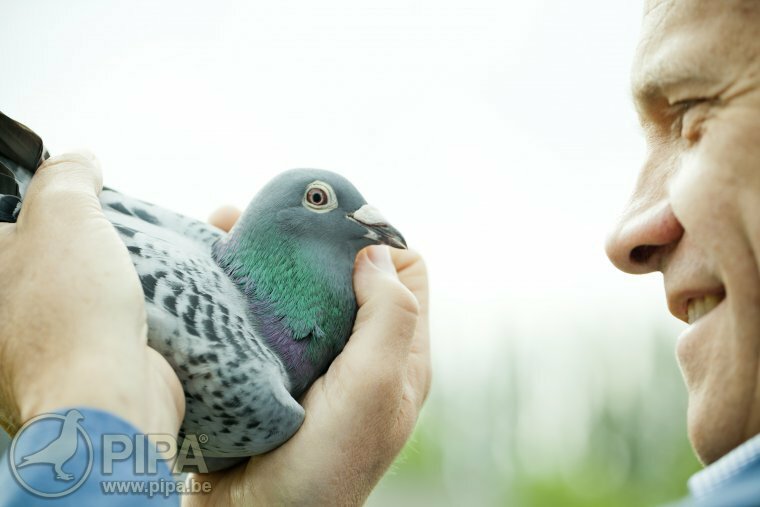 A good example would be the preliminary title of 1st National Ace Pigeon One Day Long Distance NPO 2018 of M&M Kramer, bred from a grandson of Harry.